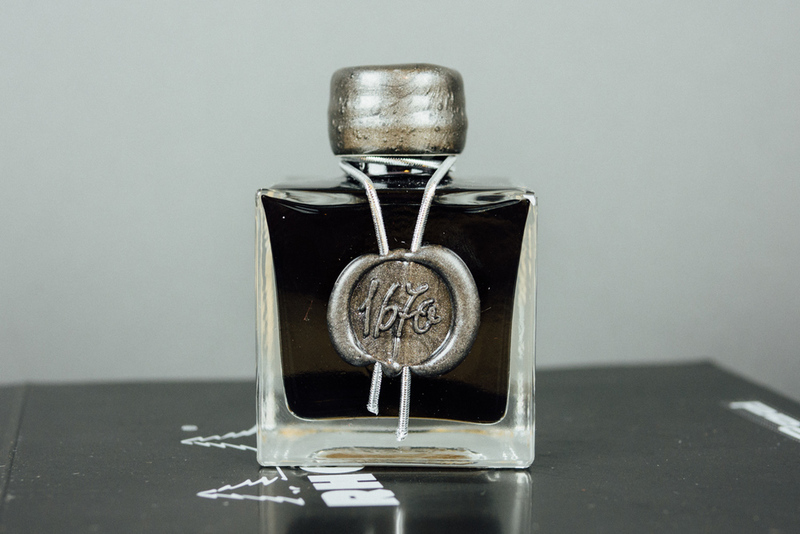 J. Herbin launched the 1670 collection in 2010 to commemorate its 340th anniversary. Stormy Grey, the third ink in this series, is a deep grey with a sheen that is supercharged with tiny flecks of gold. It has generated quite a bit of buzz in the fountain pen community in recent months. I'm only a couple of days in with it, but so far I think it really does live up to the hype. I picked up two bottles: one to use and one to give away. Sound interesting? All you need to do to enter the giveaway is take the short survey below. I'm planning to spend some time over the holidays thinking about where I want to take the site in 2015, and your insights will be a great help. The deadline for entries is 5 p.m. Eastern time on Sunday, December 14. Entries will be added as rows in a Google spreadsheet in the order that they are received. Once the entry deadline has expired, I will use the random.org random number generator to identify a winning row in the spreadsheet. I will contact the winner via e-mail or Twitter (as specified in the survey form) and also post an announcement here. Entries from outside the United States are welcome. Good luck, and thanks for reading! The survey and giveaway have concluded. However, I welcome your feedback or suggestions any time. Visit my contact page if you would like to get in touch.